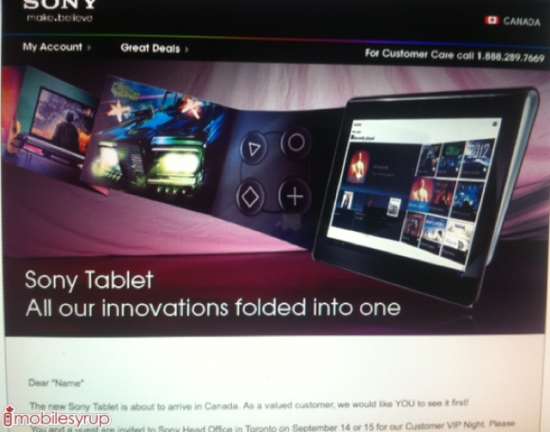 Canada to be first to get Sony Tablet S? A commercial set to air on September 14th in Canada suggests that the Canadians will be the first to see the new Sony Tablet. Expected to be around $599 the Tablet S will have a 9.4 inch screen with 1280×800 pixels, Nvidia Tegra 2, Honeycomb Android 3.1, 3 megapixel camera front and rear 5 Megapixel, Infrared and shop online to download digital media and games for Playstation.